In 1935, Jim and Fannie Salta, immigrants from Lesbos, Greece, were exploring a rocky hillside near the popular tourist destination of Weirs Beach, New Hampshire and found a natural spring of refreshing, clear water and excitedly rushed to evaluate their discovery. The spring water tested as 100% pure, so the Saltas purchased the property and founded the Natural Spring Water Company. Jim and Fannie sold spring water and homemade baked beans made in an outdoor oven from their general store. People kept asking for a place to stay, so the following year the Saltas added five one-room cabins and christened them the NASWA Spring Water Cabins. Jim and Fannie raised their children on the beautiful shores of Lake Winnipesaukee and the NASWA, a multi-generational business, was born. In the 1940s, the waterfront property was purchased and cabins were built. The cottages that exist today were built by Hope’s husband Peter in the 1950s. Decades later, when Laconia’s tourists and traffic increased and the NASWA’s visible roadside location attracted many visitors, the name changed to the NASWA Motor Inn. As the resort added more food, entertainment, and features, it again outgrew its name and became The NASWA Resort. Hope Makris, Jim and Fannie’s daughter, is the current NASWA owner. She and her husband, Peter (the well-known and loved “Big Kahuna,” who passed away in February 2007), raised their three daughters, Karen, Victoria, and Cynthia, at The NASWA. And as their family grew, so did the resort facilities. Docks, kayaks, paddle boats, The S.S. NASWA, fine dining in the Blue Bistro, and casual dining at the NazBar & Grill were all introduced under Hope and Peter’s reign. Over the years, the waterfront building and lakeside cottages were added to grow the resort and its appeal. The entire family has been involved in the resort business with daughters Cynthia, Victoria, Karen, and son-in-law Jim now in operations. Ever since Jim and Fannie rented the first cottage in 1935, our philosophy has remained the same: Treat every guest like family. Now, four generations later, we’ve come a long way from those cottages on the hill and every day we’re showing our guests our passion for hospitality. For over 60 years, Hope and Peter welcomed guests to The NASWA Resort. Now their children and grandchildren continue to take pride in making every guest’s experience at The NASWA one to remember. A love of hospitality has been passed down to each generation. 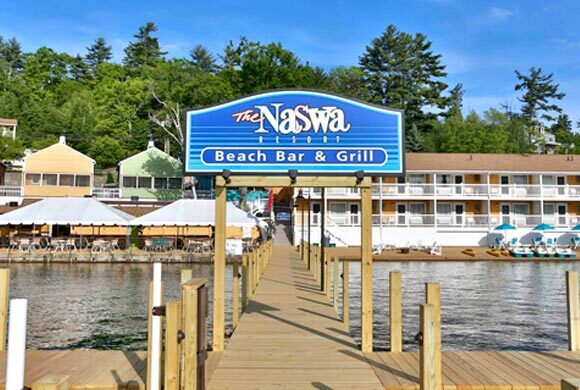 The NASWA gives our guests the best that New Hampshire hospitality has to offer. Our comfortable Lakeside Rooms, Suites, and Cottages offer private balconies, lake views, refrigerators, in-room coffee makers, hair dryers, cable television, wake-up service, and complimentary WiFi. 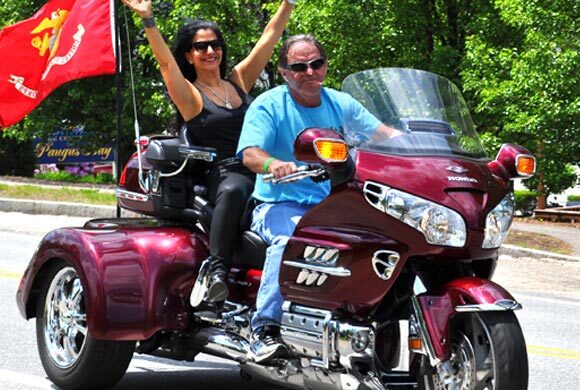 We strive to give our guests a vacation that they will always remember!